Monday April 15, 2019-Kapseret MP, Oscar Sudi, has asked the Director of Criminal Investigations (DCI), George Kinoti, to investigate a statement by Central Organisation of Trade Union (COTU) Secretary General, Francis Atwoli that Deputy President William Ruto’s name will not be on the 2022 ballot. 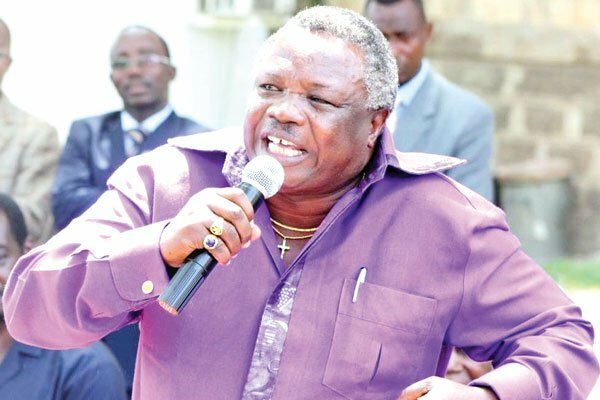 Atwoli, who was speaking at a fundraiser in Lamu on Saturday, said the name of Deputy President would not appear in any of the ballot papers, claiming his words were not tongue in cheek utterances but a signal from the creator of heaven and earth. "I want you to write this down, in 2022 we will got into an election to elect the president and it will be a very peaceful election because we shall have changed the Constitution, we shall elect the president, deputy president, prime minister and deputy prime minister,"Atwoli said. "For all those you will elect, I want to tell you that the name of William Samoei Ruto will not be there, you can take that to the bank for free, those are not my words but words from the creator of heaven and earth," Atwoli added. Speaking on Monday, Sudi said Atwoli should be questioned by DCI on how he wants to remove Ruto from the ballot. “I thought Atwoli is an elder whom I should not answer but he has proved that his head and big stomach are full of rubbish. He is supposed to be an elder who should not engage in abusing people like Ruto who are the age of his children”, Sudi said. THANKS TO THE LIKES OF ATWOLI,RUTO IS NOW KNOWN EVERY WHERE,MAKING HIM PRESIDENT WILL NOW BE SIMPLE.